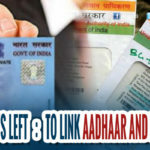 If you have still not linked your Aadhaar with you PAN, then you better hurry up as the deadline for making this mandatory is just one months away. PAN number is mandatory to file income tax returns. 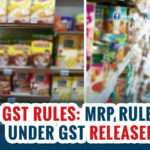 The rules state that from this year, a taxpayer must provide their Aadhaar number while filing ITR or else their PAN card will be invalidated for life. The deadline to do this is June 30, 2017. 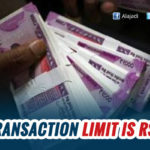 To make things more easier, the Income Tax Department on Wednesday issued an advertisement on a leading national dailies guiding the tax payers that an Aadhaar can now be linked with their PAN through SMS-based facility. 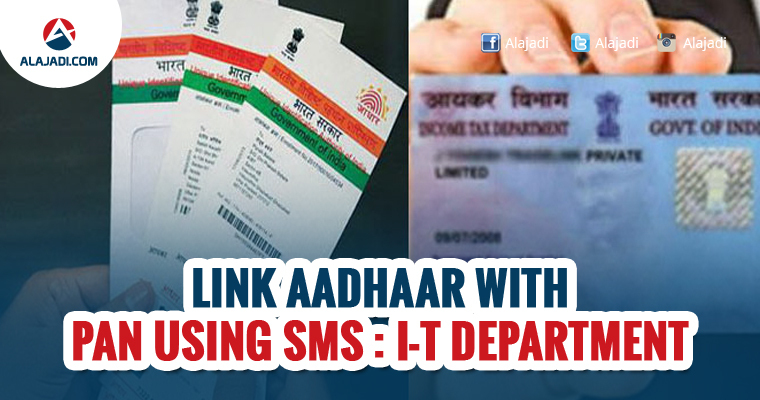 A taxpayer can link Aadhar with PAN by sending an SMS to either 567678 or 56161. The advertisement further explained that an individual can also visit e-filing website of the department to link these two identities. The OTP will be sent to the mobile number registered in the Aadhaar database. The government, under the Finance Act, 2017, made it mandatory for taxpayers to quote Aadhaar number or the enrolment number of Aadhaar application form for filing I-T returns. The government also made Aadhaar mandatory for applying for PAN starting July 1, 2017. 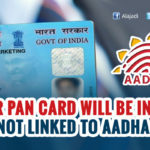 While Aadhaar is issued by the UIDAI to Indian residents, the 10-digit alphanumeric PAN is issued to individuals and companies. It said in the advertisement, Aadhaar can also be seeded into PAN database by quoting Aadhaar in PAN application form for new PAN allotment or by quoting Aadhaar in change request form used for reprint of PAN card. Earlier, the I-T department launched an e-filing website for PAN-Aadhaar linkage. It had only two steps for taking linking process. Just go to www.incometaxindiaefiling.gov.in abd click on ‘Link Aadhaar’ option. Once done, provide you PAN, Aadhaar number and enter name exactly as given on Aadhaar card and submit. After verification from Unique Identification Authority of India the linking will be confirmed. Another process is also available after logging into income tax website. Firstly, if are not already registered at the income tax e-filing portal then do so this time. After logging, a pop up window will appear prompting you to link your PAN card with Aadhaar card. If a pop up does not appear, click on a blue tab named ‘Profile Settings’ and click on ‘Link Aadhaar’. All your details like name, date of birth and gender will already mentioned there, verify the details on screen with ones mentioned on your Aadhaar card. If the details match, enter your Aadhaar card number and captcha code and click on the “Link now” button. On completion of the process, a pop-up message will inform you about successful linkage. Ensure that every detail mentioned is as per Aadhaar details to proceed further. If Date of Birth and Gender is fully matched but name as per Aadhaar is not exactly matched then the user has to additionally provide Aadhaar OTP to proceed with partial name match. Data compiled by Ministry of Electronics and IT stated that UIDAI has generated more than 111 crore Aadhaar in a population of 125 crore plus.